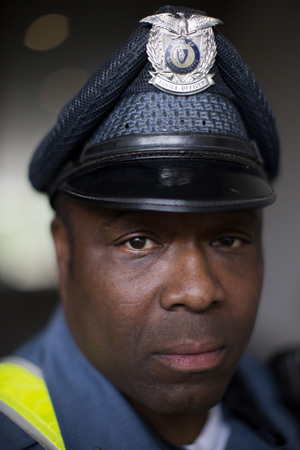 Officer Jeffrey Williams, an 11-year veteran of the MIT Police Department, stands behind Building 76 at MIT in Cambridge, Massachusetts, USA. 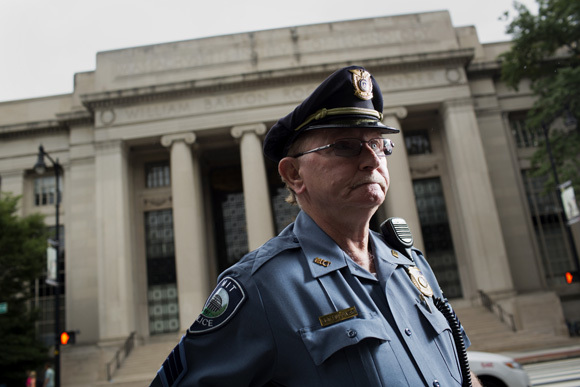 Sergeant Cheryl Vossmer is a 29-year veteran of the MIT Police Department at MIT in Cambridge, Massachusetts, USA. 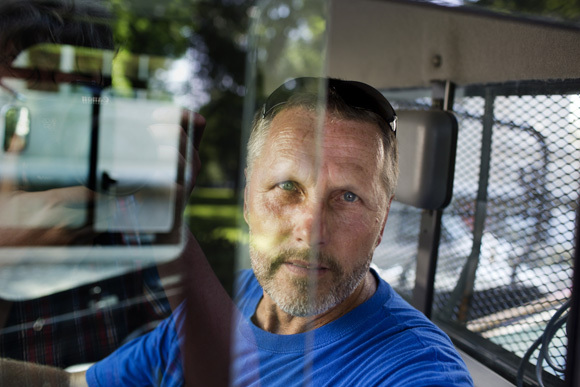 Vossmer works in crime prevention and community policing. 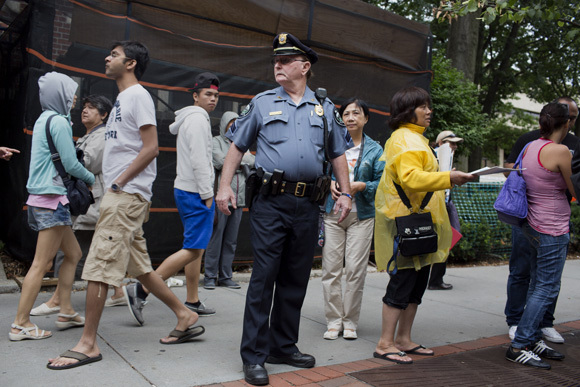 Sergeant Richard M. Sullivan, Aide to Patrol Commander of the MIT Police Department, spends most mornings dealing with crowds and tour buses at the Massachusetts Avenue crosswalk across from Building 7 at MIT in Cambridge, Massachusetts, USA. 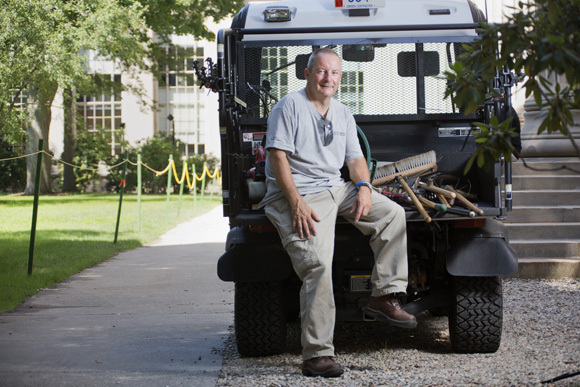 The Grounds Crew at MIT maintains the grounds of the campus and helps set up for large events. 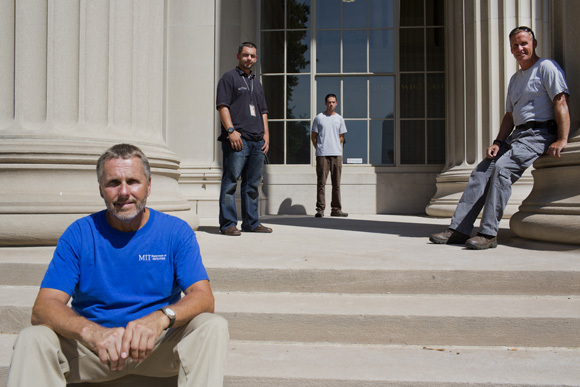 The crew is photographed here in Killian Court on MIT's Campus near the Dome of Building 10 in Cambridge, Massachusetts, USA. 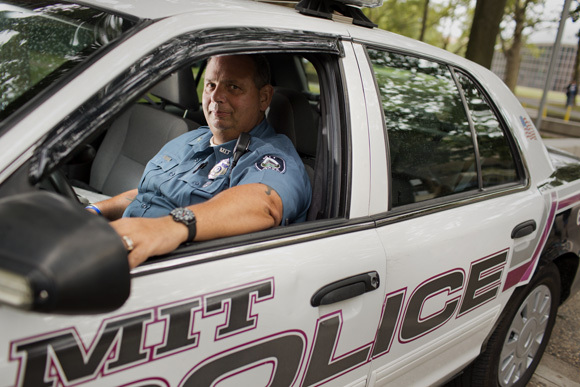 Officer Anthony Rosanio, a 32-year veteran of the MIT Police force, sits in his cruiser across Massachusetts Avenue from Building 7 at MIT in Cambridge, Massachusetts, USA. 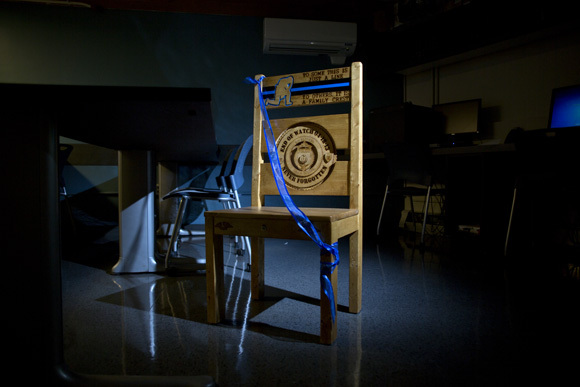 A wooden chair, made and donated by the San Antonio police department, stands empty at all times in the MIT Police Department briefing room as a memory of MIT police officer Sean Collier, who is alleged to have been killed by the Tsarnaev brothers, who are accused of perpetrating the 2013 Boston Marathon bombings. 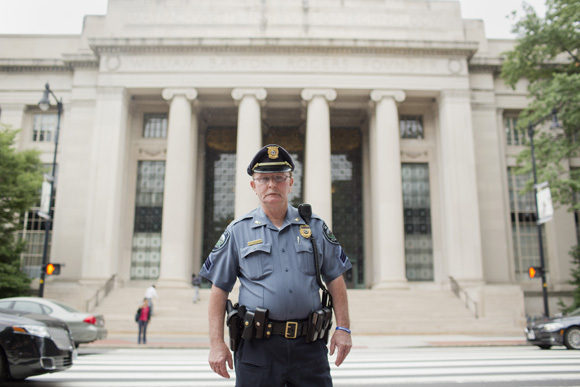 For a Labor Day spot on MIT’s homepage, I photographed members of the MIT Grounds Crew and Police Department a few weeks back. 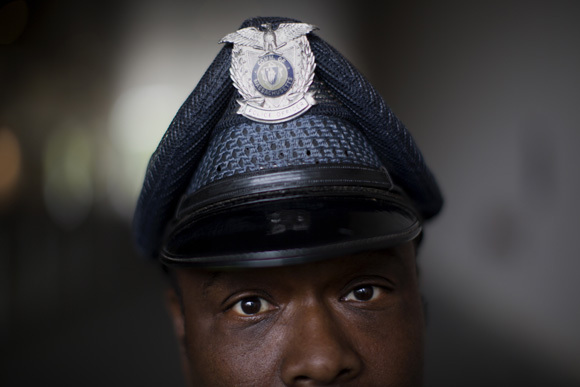 These are the people that make that place run, and they rarely get the recognition they deserve. 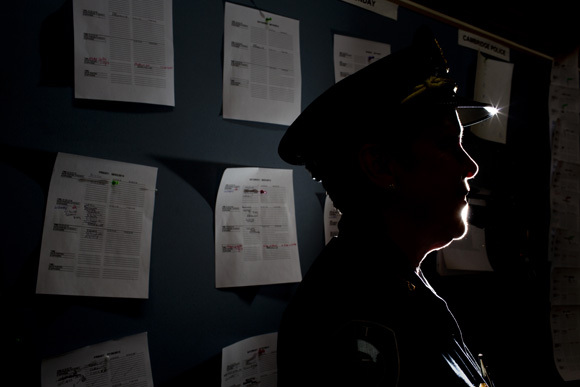 I was excited to be a part of highlighting the work they do behind the scenes.